The categories of chronic pain and how lifestyle impacts its development. The definition of complex regional pain syndrome and how massage therapy may reduce symptoms. Two natural topical pain relievers and the protocol for use in massage therapy. How a massage practitioner can influence a client's perception of pain. What Massage Therapists Should Know About Chronic Pain - Unhealthy lifestyle habits are known to contribute to the development of cancer or cardiovascular disease, but few people know that they can also foster chronic pain. Complex Regional Pain Syndrome and Massage Therapy - Chronic pain is a complaint massage therapists hear from many clients. The causes vary from pain as a result of injury or accident to post-surgery pain. There may be times that the actual cause is unknown or elusive. Learn more about complex regional pain syndrome, a chronic and often debilitating form of pain that may be helped by the use of massage therapy. 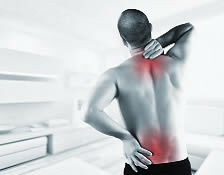 2 Natural Topical Pain Relievers - Chronic muscular pain is the number one complaint encountered by bodyworkers. Learn what two natural substances are considered to be superior pain-relievers by both the Western and complementary medical communities. A Practitioner's Influence on Client's Pain - With so many consumers living with chronic pain, massage therapists astutely study and practice techniques aimed toward pain relief. However, the most potent tool for helping a client overcome their pain resides in the therapist's head - not in their hands. Your courses never under deliver. Impressed once again! Very interesting! Challenged my knowledge. Thank you for the research. Enjoyed learning more about chronic pain. Very informative, would recommend to even an experienced therapist! Wonderfull course...I feel so educated and informed. This course has provided me with information to help my clients understand chronic pain. The course was great. Very well organized and to the point. Very easy to understand and grasp. Wow!!! I learned a lot of new things that were not covered in school. This course is great, I love that I can print the material and go back to it as a refresher when i need it. This course met my expectations and this site is very user friendly, making life a lot easier for me when im taking these courses at home with 2 children. I will be recommending this site to my students on Monday! Enjoyed this course. I wish they had a I, II, and III for more information and credits. Simple, direct, and to the point. I enjoyed this course - I learned a lot! The text was easy to read and understand, applicable to my profession, and I was able to complete this course in the comfort of my home. Very informative...will continue CE from this site. Thanks! Very informative and I learned new information for approaching pain relief facilitation with my clients. Thank you! I enjoy taking these courses at my own pace and the material is interesting. This course validates what I've been doing all along. Thank you for the refresher and the info and facts that makes massage so interesting and beneficial. This was well laid out and easily understood. The questions and answers were applicable, and not complicated. As someone that suffers from Chronic pain, it was very helpful for me and very informative. I will use this knowledge in my private practice. Thank you. This course was very helpful and meaningful. I have many clients who have chronic pain and discomfort. Thank you. The course was great! Great value for the money. Very informative for a short class! I really enjoy your courses. The website and test-taking is easy to maneuver. 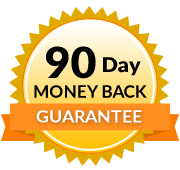 I return to your website every year for all of my online requirements. Thank you. Identify the categories of chronic pain describe the role of lifestyle choices in its development. Define complex regional pain syndrome and explain how massage therapy may reduce symptoms. Identify two natural topical pain relievers and explain the protocol for use in massage therapy. 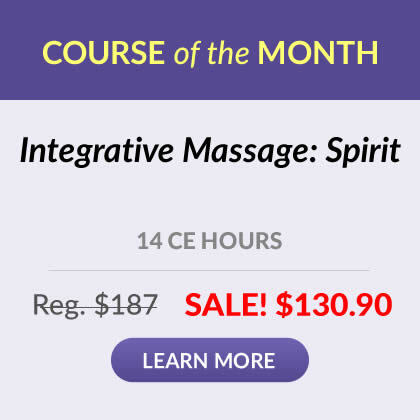 Explain how a massage practitioner can influence a client’s perception of pain.